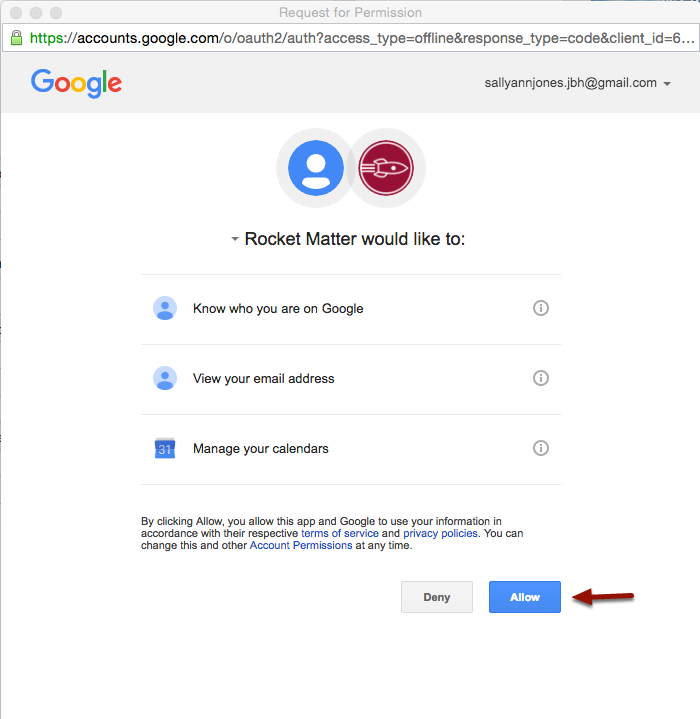 Rocket Matter Knowledge Base Google Integration (Calendar and Email Sync)How to sync with Google calendar. 1. Your Rocket Matter calendar syncs with Google Calendar's PRIMARY calendar. Secondary calendars events and events from other calendar subscriptions will not be included in the sync. You can tell which the primary Google Calendar is because it is the first, and primary Google Calendar listed on your Google calendar. 2. Calendar events which you originate on your Google Calendar are synced over to Rocket Matter. Be aware that If you are invited to a Google Calendar event the calendar event will appear on your Google Calendar as an invitation and the event will appear in Rocket Matter with invitation status. 3. Calendar syncing is on a User-by-User basis. Each Rocket Matter User needs to sync their calendar individually. So, if you have multiple Rocket Matter Users, you will need to set up a sync for each of the Users. 1. Navigate to your profile by clicking 'My Profile' in the left-hand navigational panel. 2. 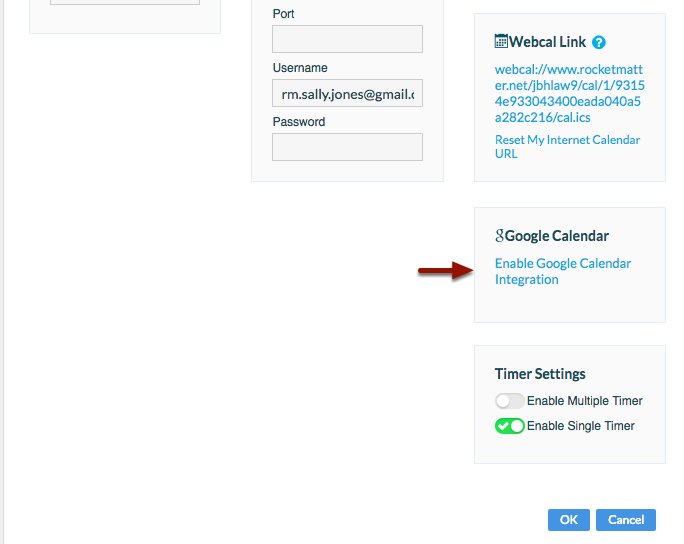 While viewing your 'User Information', scroll down, and click on 'Enable Google Calendar Integration'. 3. Review agreement details, and click 'Allow'. 4. Your 2-way Google Calendar Sync is now enabled! Note: You may need to authorize 'less secure applications' in your google account in order for the sync to work. Prev: What file types can I upload into Rocket Matter Documents? Next: How to sync, view and bill for your Gmail emails into Rocket Matter.